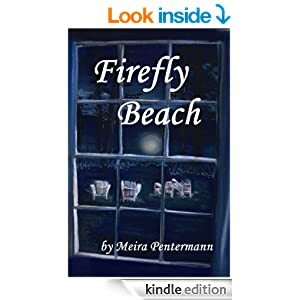 Hard to describe Firefly Beach as solely one genre, it’s not just a hokey young adult story so many of them are (thankfully, no vampires, werewolves, monsters, etc). Meira keeps my attention by going back and forth between the past and it’s present day time from the eyes of the protagonist. Characters are a little one-dimensional and saccharine at times, there’s even a cartoon villain and an itinerant mechanic. But, the story is fast paced so you’re not drugged into stupor. Meira does a good enough job describing places of interest for the characters, from the hometown to the far flung reaches and nooks of the countryside. Some may guess the outcome but when I read a story, I enjoy the plot for what it is and like to be surprised at what happens. There is the typical teenage angst that isn’t cringe-worthy as so many authors and writers attempt to give their characters voice, they lose who the character is. Meira writes how a teenage girl would react without the drama trauma, so you get the feel without reading with one eye closed. On the whole, Firefly Beach is readable and somewhat relatable. I would give three and a half stars.